[20. 3. 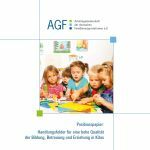 2019] On 14 March 2019 AGF joined the German coorporation network on equal health opportunities. 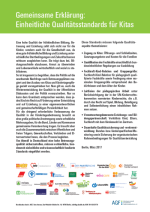 The network includes around 70 insitutions and organisations and forms a conceptual framework on the exchange of the development of political and supply measures to avoid health inequalities in Germany. 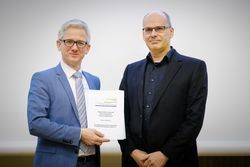 The network was founded in 2003 on initiative of the German Federal Centre for Health Education (Bundeszentrale für gesundheitliche Aufklärung (BZgA)). It works as a cooperation platform for insitutions from practice, science and political organisations. In the network declaration the partners state among other, that health of socio-economic disadvanced persons is worse, their life expectancy is significantly less than those from the socio-economical advanced part of the population. This is shown by the health and social reports on state and national level. Particularly children from vulnerable families as well as migrants face diverse heatlh issues that we can and havo to tackle by health promotion. This also is an imporant aim of the German family organisations. 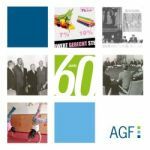 For AGF the membershop in the network means to widen the cooperation to players in the health sector. Photo credits: © Gesundheit Berlin-Brandenburg e.V./Foto: André Wagenzik.